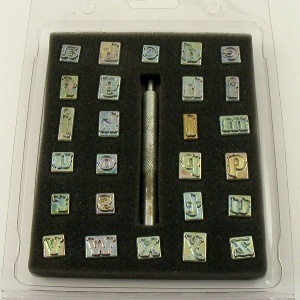 Lower Case Embossing Stamp Alphabet for Leather 12mm 1/2"
This is a full set of lower case letter embossing stamps for leather. 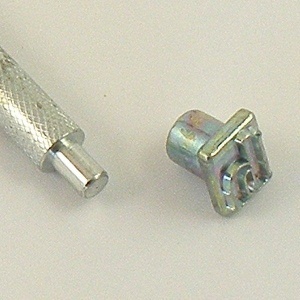 The letters measure 12mm from top to bottom on average, although this varies according to the letter shape. The set contains one handle with a sprung end, to which you attach the letter that you want to use, and then hit the stamp handle with a mallet to leave a clear impression on your leather. These stamps are also brilliant for making personalised ceramics!